For around 7 years now we have had an advent activity calendar at Christmas time. When the kiddos were younger we did chocolate or some sort of treat each day. It started with muffin pans. I would tape a magnet to the treat. Then tape the day of the month on top of it. 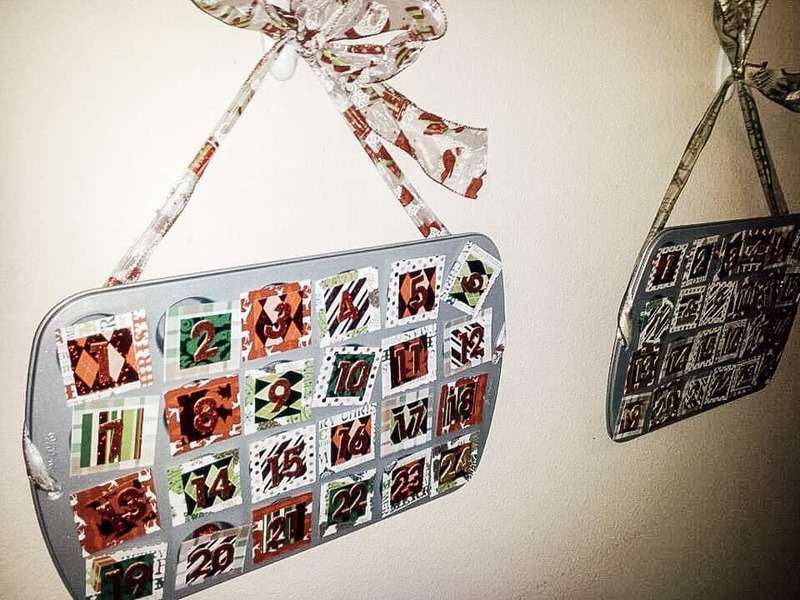 We hung them on the wall and every morning the kids would jump out of bed and run to the hanging muffin advent calendar. 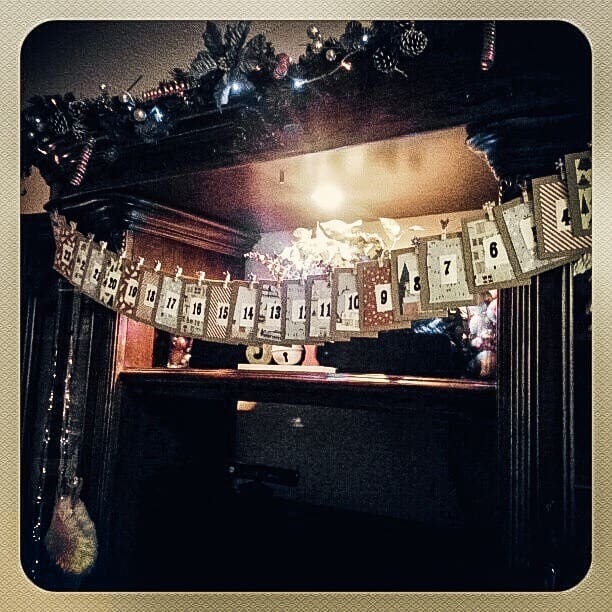 Then in 2012 when the kids were 4 and 3 we decided to switch it up and do an advent activity calendar. Then in 2015 I ordered a cute advent calendar box. Each day the kids get to hang a cute ornament on this little tree that comes with it. Sometime in November when we got the box in…my daughter (7 at the time) said … wouldn’t it be neat if our elf left our activity in the box each day? Advent box from Decor Steals. 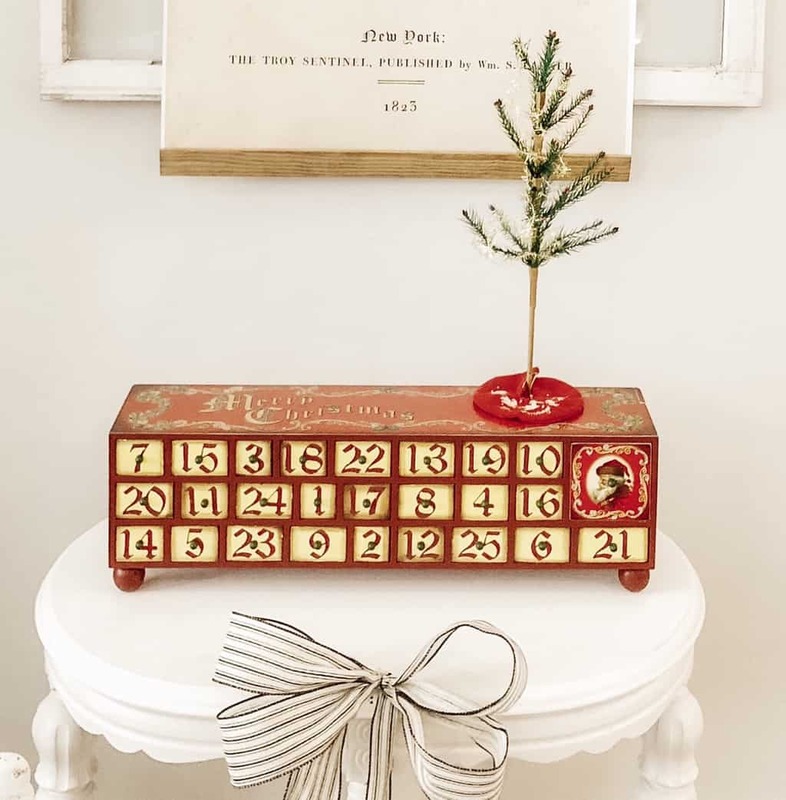 Each box contains ornaments to decorate the mini tree with. So instead of using envelopes we now have a box! Each year we add new stuff in and do some of the same things. We let our elf know the night before if we have plans or need to stay in for the night. And she adjust our activities accordingly. Sometimes she even emails us during the day if the activity needs to change. And yes. She has an email address. For 6 years now… our kids wake up and rush to our special box. Each day they take turns reading out that days activities. This special tradition helps us bond through the Christmas season! Here is a list of some of the activities we have done in the past. We try to keep a lot of them FREE! Some do cost money so keep that in mind. But I definitely think you could always keep the entire thing budget friendly! But always on the 1st of December they each receive a present under the tree with matching Christmas pjs!! As you can see, the list has grown over the years. All the activities we do …our elf tries to fit around our schedule. And most of the time it’s things we had planned on doing anyway. The kids look forward to December each year and it’s non stop talking about it for weeks to come. With a little bit of planning you could do this too! If you decide to try it this year please let me know! And if you have any activities your family does or any ideas please let me know! Our elf is always looking for more ideas.